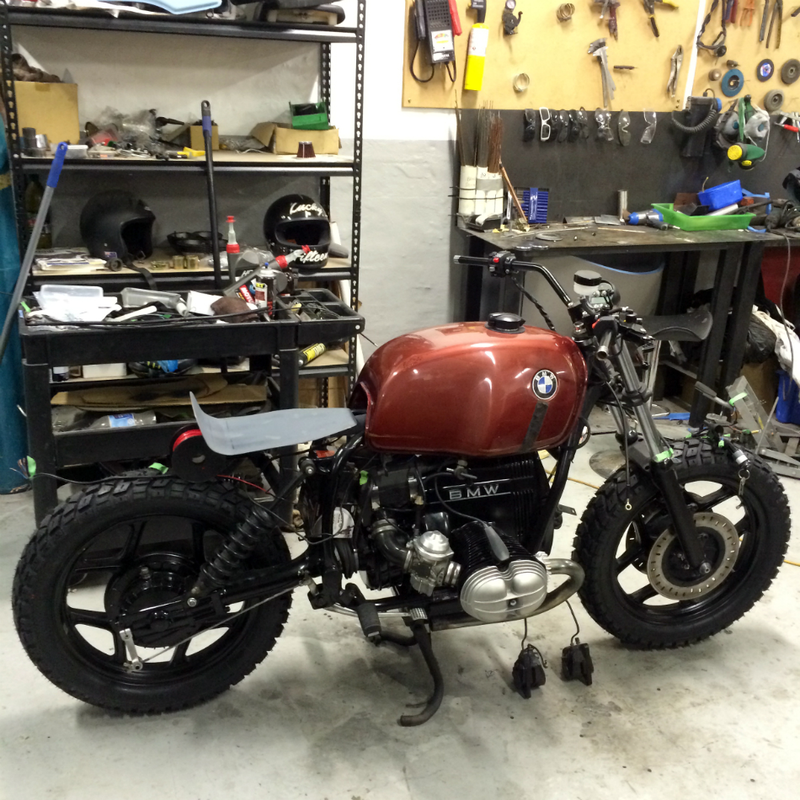 Yet another crazy weekend pushing the BMW R80 build towards the finish line. This weekend (with the help of Ren and Sam), I managed to cover a tonne of ground. I’ve now all but completed the electrical side of things (a post on that coming soon) and have the first (tricky) part of the seat sorted as well! 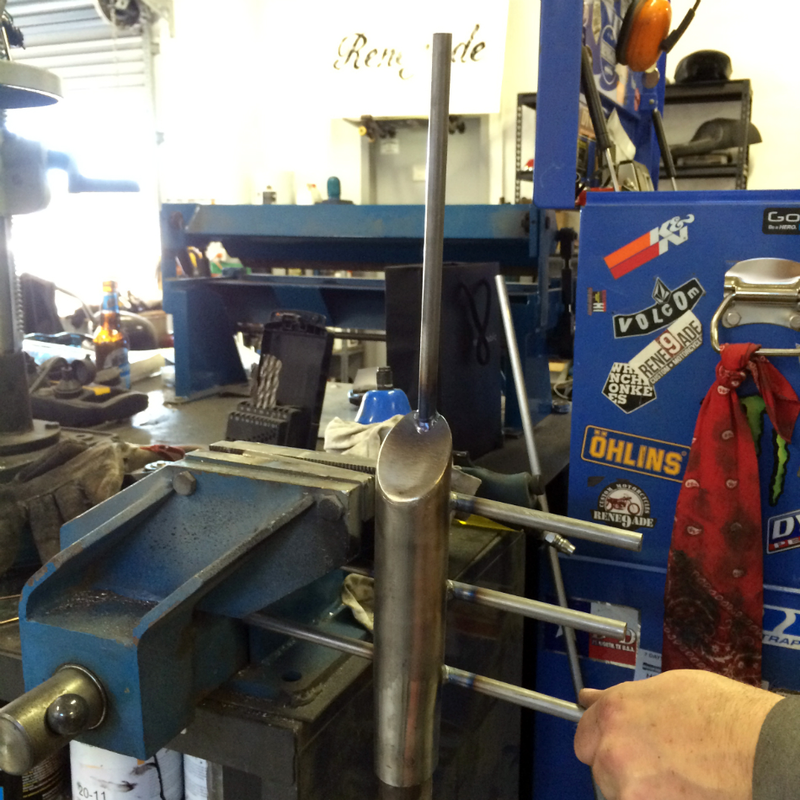 In this post, I’ll cover much of the process behind fabricating the custom rear subframe and seat pan. The game-plan was to create a frame tube extension to run from the top frame tube, further back towards the rear wheel. With a fair bit of planning, we got to preparing the extension. 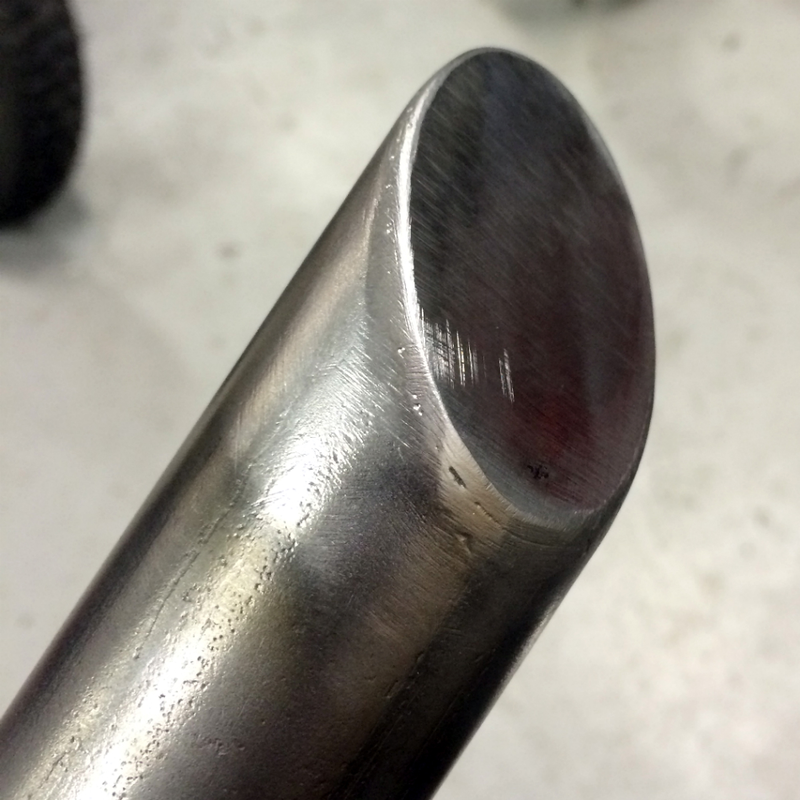 We started with a thick steel tube section and used a press to squeeze it into an oval shape to match the BMW R80’s existing frame tube. Once we were happy with the extension we got to marking out positions for the crossbars that would provide strength and mounting points for the seat pan. 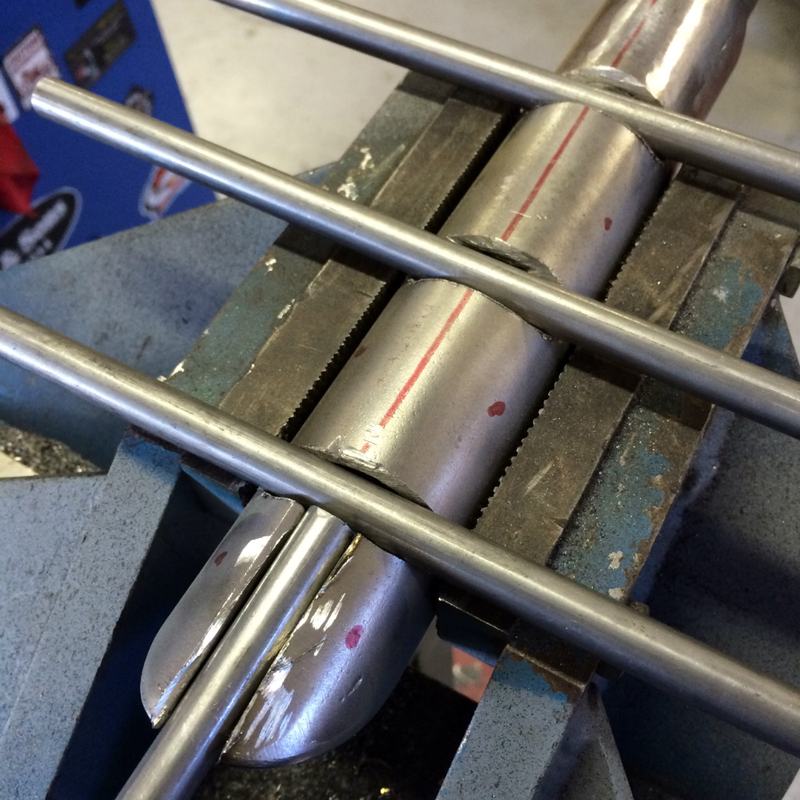 With the positioning of the crossbars marked out, we got to cutting slots into the tubing to seat the crossbars. It took a little bit of work but once the slots were uniformly cut, we seated the crossbars ensuring that they were level for welding. 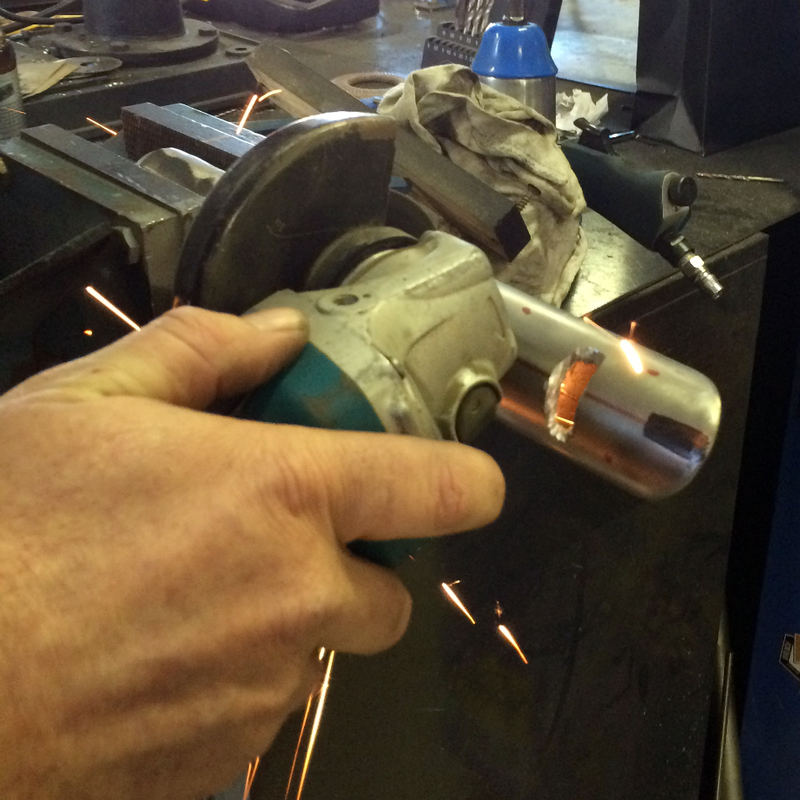 The crossbars were sitting level, so we proceeded to weld them in place. 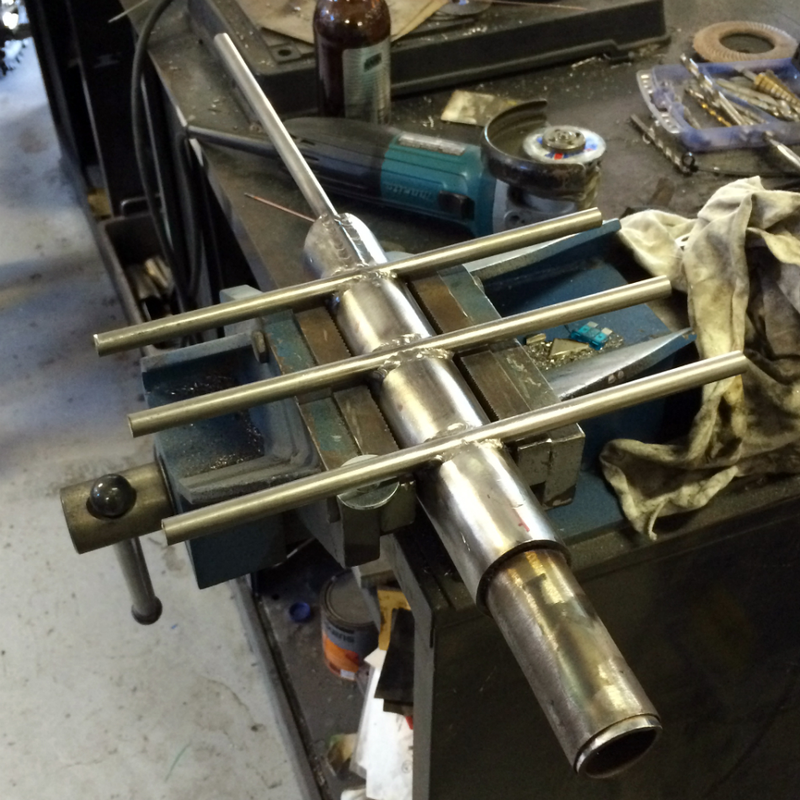 In order to add some further strength and stability to the crossbars, we welded up the under side of each crossbar/frame extension join. 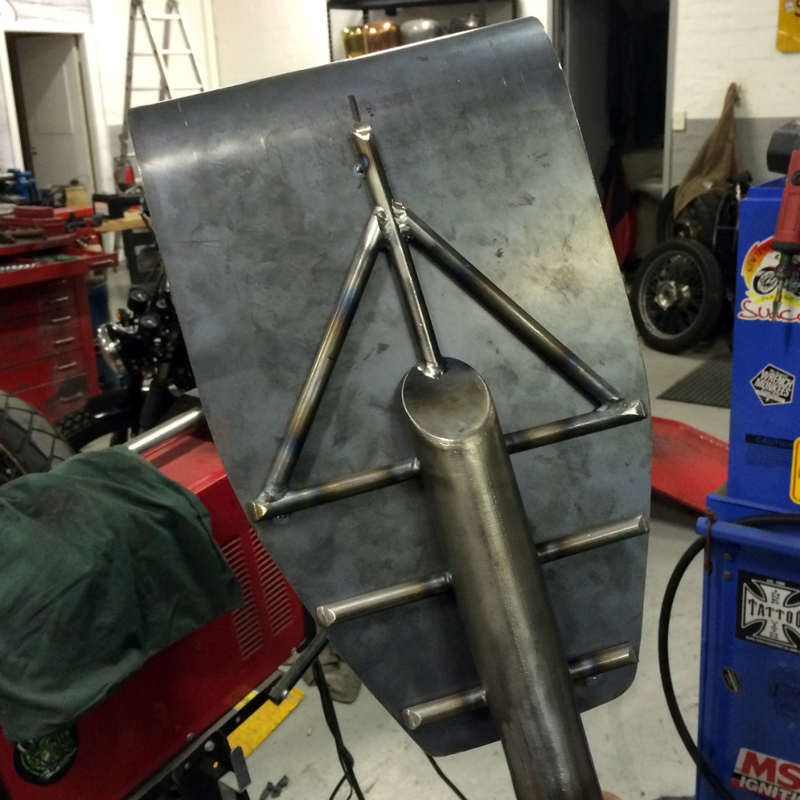 In order to support the rear-most section of the seat pan, we added further cross-braces to tie things off. 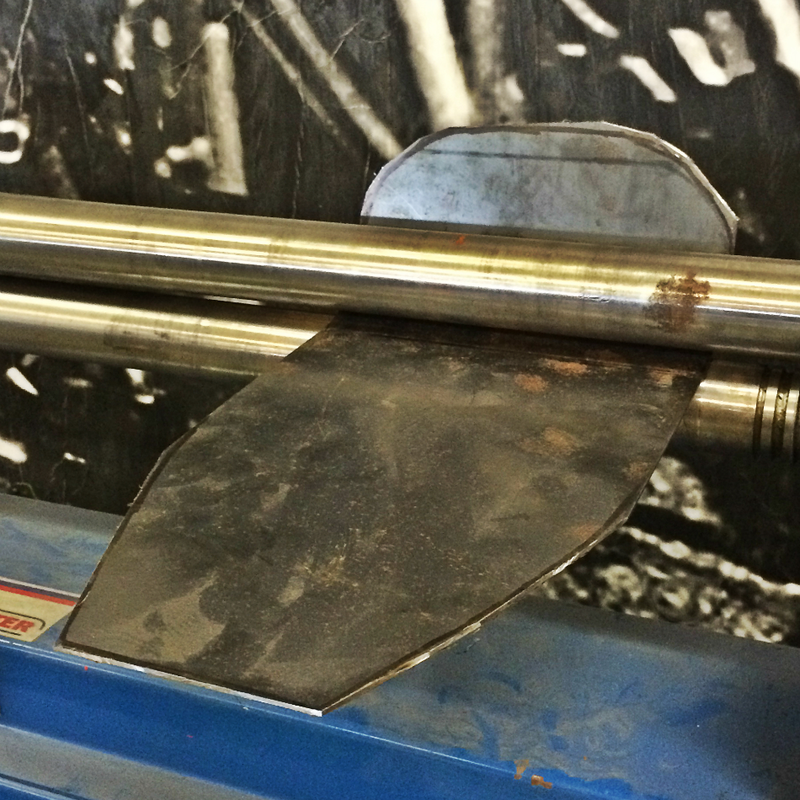 With the subframe ready we got to cutting a thick steel seat pan and rolled a significant “kick” towards the back. We tidied up the edges and the seat pan was all but ready. 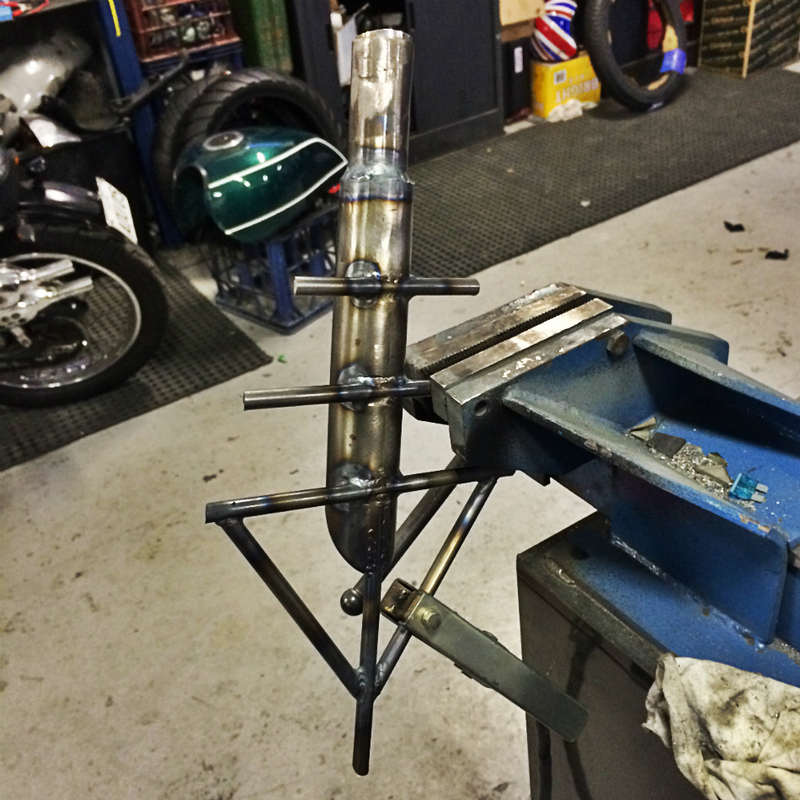 Now that the seat pan and subframe were fabricated, the next thing to do was tie them together! 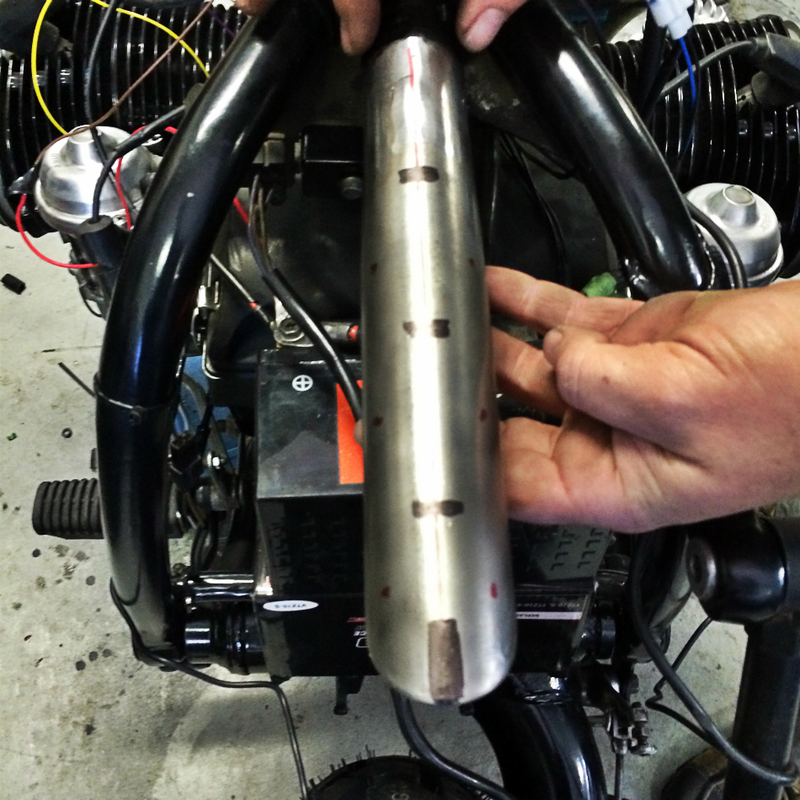 With the custom subframe and seat pan tied together, it was time to test mount the new piece. I feel like the result, thanks to Ren’s workmanship, is nothing short of amazing. 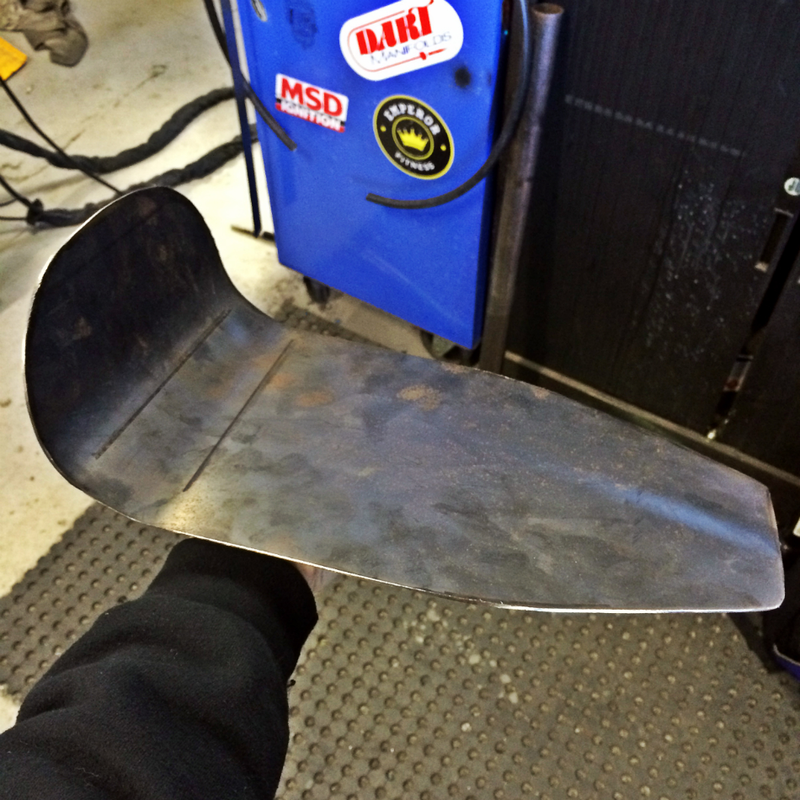 We’ve still got a bunch to do to fabricate the seat itself, but this was the hard part… And it is now done. Rene9ade Custom Motorcycles (where I’m working on my BMW R80) has covered the fabrication process of my subframe and seat pan also. If you’re looking to get this kind of work done or need a hand progressing your build, they’re definitely worth talking to. I’ve received a lot of questions from people following this build asking “what are you doing with the seat?” – I hope this post sheds some light on my vision for this. Please by all means let me know what you think! Tagged 800cc, airhead, BMW, boxer, fabrication, flattwin, motorbike, motorbikes, motorcycle, motorcycles, project, projects, R80, r80rt, rene9ade, rene9adecustoms, seat, subframe. Bookmark the permalink. I’ve been following this build on instagram and I’m not surprised we had the same idea for extending the subframe. I was planing on doing the same to my R65 but without the welding. Can you share what diameter tube you used? 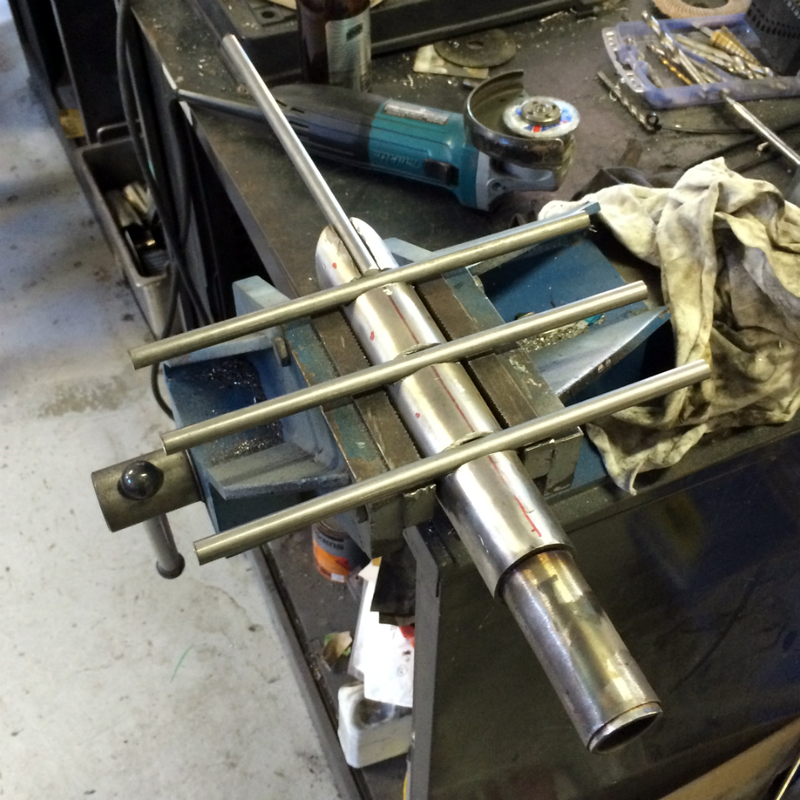 By my not very accurate measuring I’m thinking I should start with a 1.5″ tube.